Although I am aware of its rich history of influential literature, philosophy, classical music, ballet, painting and architecture; when I think of Russia; I tend to go more negative than positive due to Russia‘s dark history of war and dodgy disasters. Besides what my grandmother told me about the beauty of Moscow, I grew up in Lebanon hearing stories of husbands caught cheating in under-covered Russian brothels, and Lebanese doctors; with ambition on a budget; graduating from Moscow university. 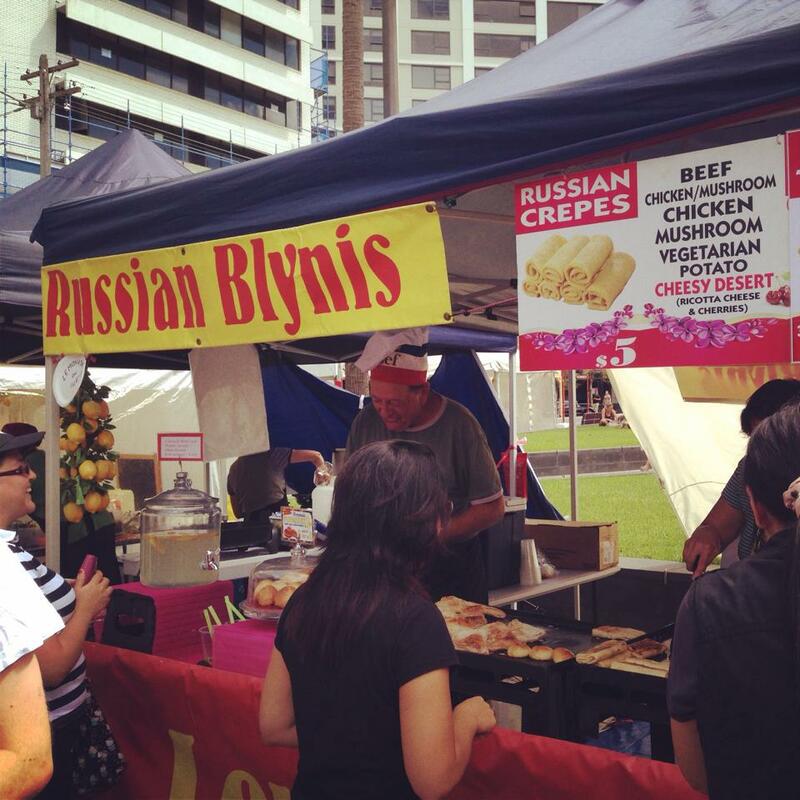 Even in Australia, Russia has an obscure identity. I only came across a shop in the city full of Babushka dolls that I found very pleasant to observe; and extremely expensive to buy. It’s only when I started exploring street food, that I came across the influence of Russia on some European cuisines – all war related, specifically during the Soviet Union era. 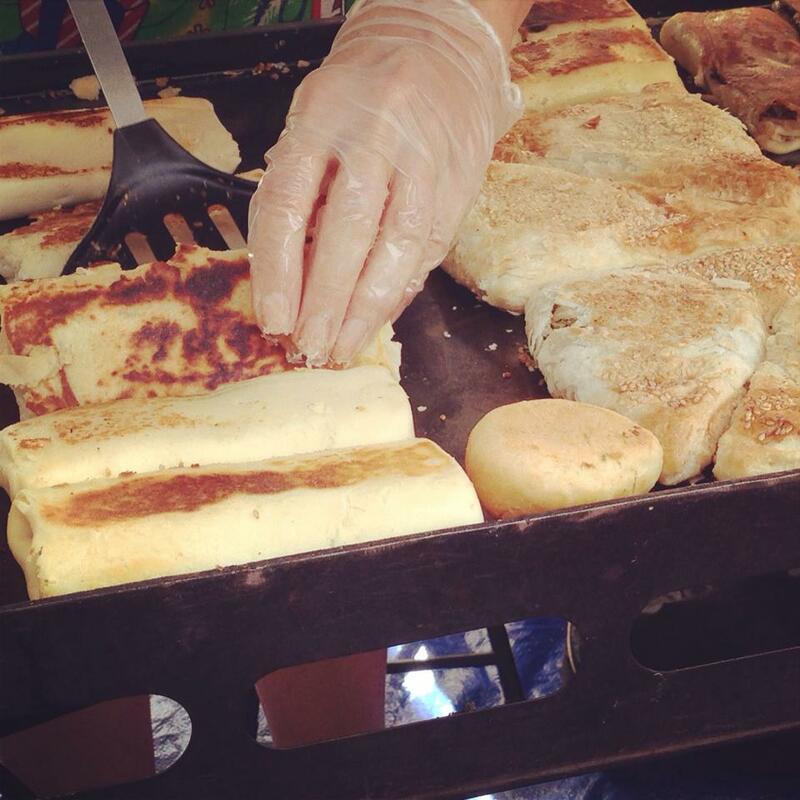 Last Sunday, I went to Kirribilli Markets, and spotted a Russian stall ran by a Babushka woman making Russian crepes (Blini/Blinchiki) and little pies (piroshky), next to a snowman look-a-like husband selling lemonade. Blinis were sold for $5.00 each. While waiting for mine to cook; I nibbled on a piroshky for $2.50 each. 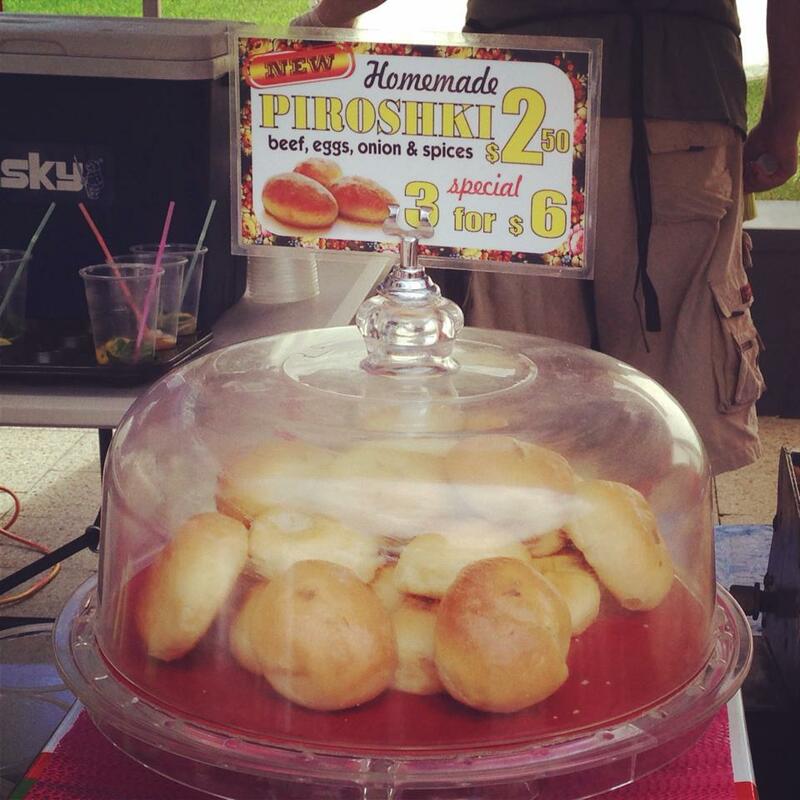 Piroshky are small stuffed pies made of either yeast dough or short pastry, filled with potatoes, meat, cabbage, or cheese. They are either baked; according to the ancient Slavic method or shallow-fried; adopted from the Tatars in the 16th century. 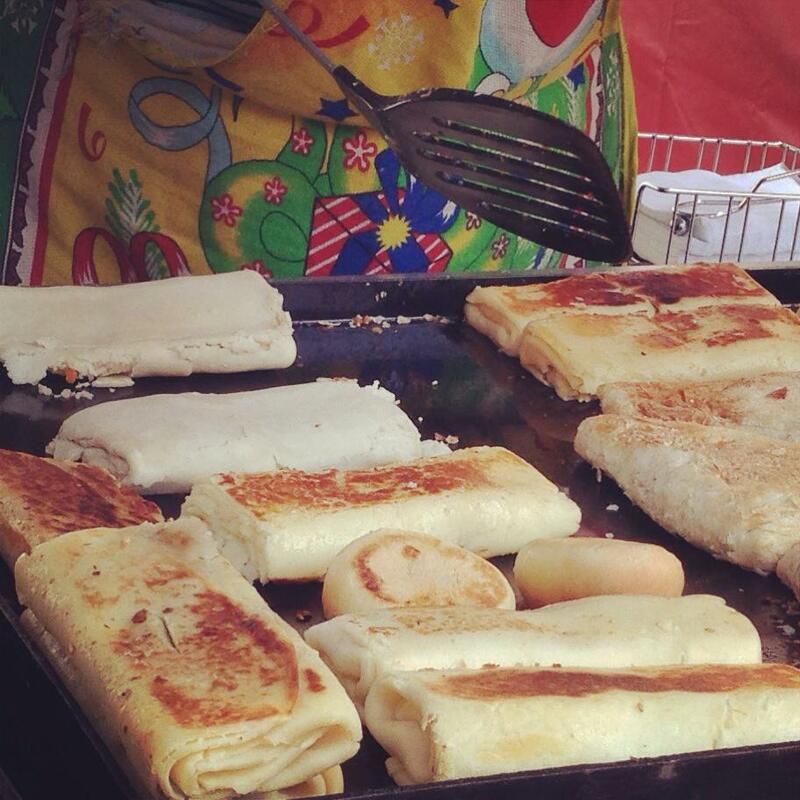 Blinis are thin pancakes made with yeasted batter, wheat, or buckwheat; more often served in a religious ceremony. The word “blin” (to mill) had a ritual significance for early Slavic peoples in pre-Christian times, traditionally prepared at the end of the winter to honour the rebirth of the new sun. This practice carried on by the Orthodox Church, prior Lent season. Whisk together 1 egg, 1½ cups of water, 400ml of buttermilk, ½ tablespoon of sugar and ½ tablespoon of oil in a jug. Sift 2 cups of self-raising flour and add a pinch of salt into a bowl and make a well in the centre. Whisk egg mixture into flour mixture until smooth. Combine 500g of ricotta, 2 teaspoons of caster sugar, ½ teaspoon of vanilla and 10 g butter in a bowl. Place a crepe on a clean surface. Place 1 tablespoon of ricotta mixture in the centre of the crepe. Fold in ends and roll up to enclose filling. Repeat with remaining crepes and ricotta mixture. Sprinkle crepes with sugar and serve with fresh seasonal fruit, cream and jam, or honey if desired. I leave you with a debate between a Russian, a Frenchman and an Englishman arguing about Adam’s nationality.